Winter has been rough this year East Tennessee has been hit repeatedly with snow and ice. For a place where it only snows a few times a year, having a 3 to 4 inches of snow in the ground is a big deal. Anyway this weekend finally our temperature is back to 40-ish again YAY! 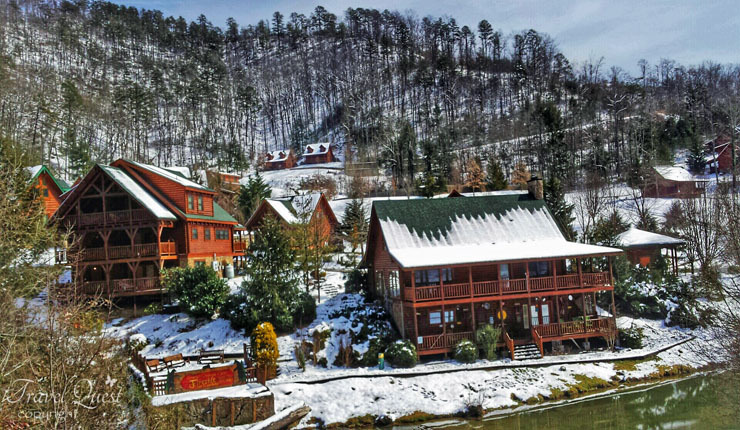 We drove to Gatlinburg and spend hours there admiring the snowy scene in the Smoky Mountains. 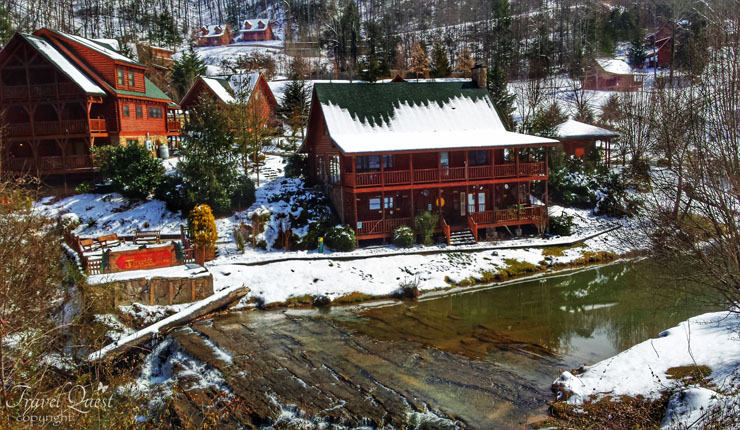 Amazing views can be found everywhere in the Smokies, see for yourself. For Sale - How can you not love this house? Loving the views from here! I would say the perfect place to avail when you are in a vacation, just where you can see the beautiful scenery. What a beautiful place to relax and enjoy winter too Sis L. I've heard that you got a lot of snow too. It is not only in Buffalo that is snowing. That's one beautiful log cabin! It's one of my husband's dream, to own a cabin lol. Wow, a for sale house in the mountains? Looks great but not for me. I do not like the cold weather. I'd take a cabin instead. ;) I guess it's as nice during summer. It's gorgeous! 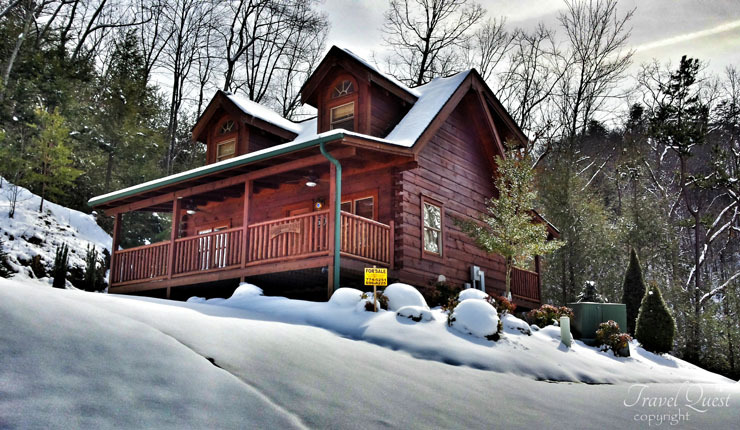 How I wish we have a cabin house like that, complete with snow! I would to experience staying here for a vacay. Log cabins! Something to look forward to in the future! Would love to experience in these log cabins. They look very stunning, and the view, oh so breathtaking!